There always has been one unsolvable problem for any follower of a sports franchise. Bad coaches can get fired. If a player — say a talented, if unmanageable young left-handed pitcher — becomes too much of a headache in the clubhouse, with his gluttony and his drunkenness and his predilection for being discovered in brothels as dawn breaks on game day, your team can release him, trade him, or sell him for big money that it allegedly can use to mount a stage musical. I mean, really — no matter how good the player — as fans, you’ll be relieved. After all, what possible long-term damage could unloading that clubhouse cancer really cause? But there is one problem that never can be solved. This is because what is a problem for you might not be a problem for the good old boy network of plutocrats that actually own the games into which you pour your devotion and your money. And, even if you decide to stop spending the latter to satisfy the former, it may not really matter. The odds are that, through the largesse of television and the legerdemain of modern accounting, you can’t solve it that way, either. There never has been anything you can do about a bad owner. That one is out of your hands. The league is investigating the audio, but by now, half the world has already weighed in, including the coach of his team, the commissioner of the National Basketball Association, LeBron James, and the president of the United States. All of them agree — as does any advanced carbon-based life form — that if the recording is authentic, the comments show that Sterling is undeniably racist, undeniably revolting, and undeniably rooted in the mind of a man who would have to yield his moral pride of place to algae. There have been a number of calls for the league to strip Sterling of his franchise. This, I confess, makes me more than a little nervous. Taking someone’s assets because of what they think and say, no matter how grotesque it is, sets off all kinds of alarm bells in my First Amendment conscience. The league certainly is within its rights to suspend him, for as long as it wants to suspend him. 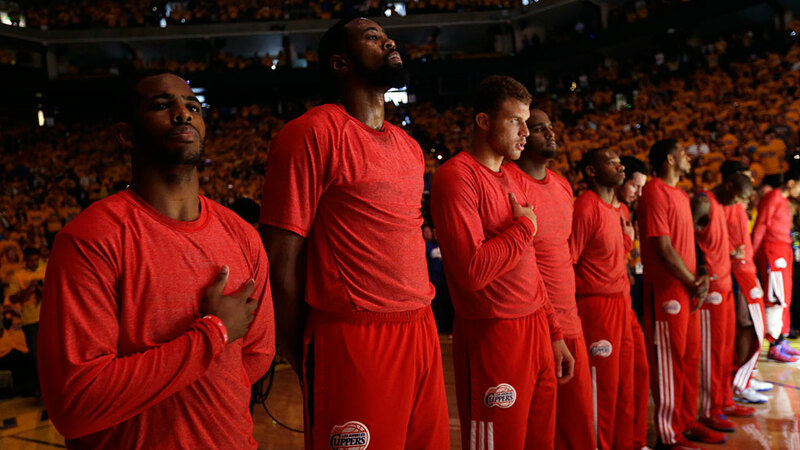 There were also calls for the Clippers players to make some kind of public statement. Before Sunday’s Game 4 against the Golden State Warriors, they did just that, when they removed their shooting shirts at center court and turned their red warm-ups inside out. The point is that all of what we’ve discovered about Donald Sterling over the past three days has been an open secret for as long as he’s owned the Clippers. He has a track record as a conspicuous bag of dirt, dating back at least to 1996, when he was sued by a former employee for sexual harassment, and that was only the first of several legal battles. He’s been sued at least twice for housing discrimination. He was sued by Elgin Baylor for employment discrimination, during which Baylor claimed that Sterling said he wanted “poor black boys from the South” playing for a “white head coach,” an allegation that seems to be even more believable today, given what’s emerged over the weekend. The audio tape of Sterling’s alleged comments comes at a time when the country is also riveted by the sociological musings of Cliven Bundy. With much of the chattering class being shocked — shocked! — that there is racism going on here, here comes Donald Sterling with some thoughts of his own. Not only is he an incompetent public bigot, he has godawful timing. That said, let us look beyond recent events and point out that the NBA has tolerated this guy for years, despite the fact that, even if he had been Francis of Assisi, he still has been the worst owner in the modern history of professional sports. Nobody else is close. Since 1981, when he bought the team, Sterling’s Clippers have compiled not merely the worst winning percentage in the NBA, but the worst winning percentage in all four major American sports, and that includes several teams that didn’t even exist when Sterling first graced the Association with his presence. It allowed him to run this franchise into the ground a number of times. It allowed him to hang Baylor, one of the league’s founding superstars, out to dry. And it allowed him to reap the benefits now that his team is the only one in Los Angeles that is in the NBA playoffs. In fact, not only can it be said that the NBA tolerated this clown, it can be argued that the league actively empowered him. After all, the sainted David Stern was a lot harder on rap music and on clothing than he ever was on Sterling. By the way, not long after Stern said this, the Department of Justice was preparing to sue Sterling in federal court for refusing to rent to minority tenants. But that, of course, had nothing to do with the NBA’s “sense of professionalism.” Stern also intervened to scuttle the trade of Chris Paul to the Lakers, which resulted in Paul winding up in Sterling’s employ so that, this weekend, as president of the National Basketball Players Association, Paul would find himself denouncing racist prattle that allegedly came from the guy who signs his checks. Donald Sterling is the Caliban of the NBA’s golden age, and the league has known it for decades, and has done precious little about it. And that is why a bad owner is the worst thing that can happen to a fan. The closest parallel is said to be the case of Marge Schott, the extraordinary loon who once owned the Cincinnati Reds. Schott was notoriously cheap, but her real problems came in 1992, when her employees claimed she referred to two of her best players as “million-dollar n—–s,” that she talked about “sneaky goddamn Jews,” and that she kept some Nazi memorabilia around the house. That November, in an attempt to explain herself, Schott said she had been kidding about her African American players. Four years later, after having been suspended once, she opined that Adolf Hitler had had some good ideas at the beginning, but had gone too far. She also mocked Asian Americans, and she called players who wore earrings “fruits.” If diversity training had a chronic ward, Marge Schott would have been an inmate for life. Eventually, with her limited partners threatening an uprising, she sold her majority share in the team. Schott was far from the only racist who ever owned a team. Calvin Griffith moved the Washington Senators all the way to Minneapolis in search of a white fan base. George Marshall, the original owner of the Washington Redskins, was an outright bigot, and Daniel Snyder, the team’s current owner, clinging as he is to a racist nickname, must be spending every morning these days lighting candles beneath Sterling’s picture, out of gratitude for grabbing the spotlight away from him. But the person who can best be said to be Sterling’s most direct ancestor in bad ownership is a person nearly forgotten except by those who remember the days when the NBA was one small step from the ash heap of history. His name was Ted Stepien, and he owned the Cleveland Cavaliers. For almost 20 years, the mere mention of his name was enough to give any NBA owner a severe case of the vapors. He is the person whom NBA owners use to scare their children into staying in bed at night. Go to sleep, or Ted Stepien will trade you to Milwaukee for a pound of Usinger’s sausage and half a case of Blatz. The parallels are almost cosmic. A guy who got rich in the advertising game, Stepien bought the Cavs in 1980 and immediately went to work bungling his way into history. He fired a play-by-play guy for being critical. He moved his team’s games from one radio station to another because he didn’t like how a talk-show host criticized him. He hired Bill Musselman not once, but twice. In the 1981-82 season, he fired three coaches and hired four. Going for instant gratification, he squandered the high draft picks that were a result of his terrible ownership, including one that became James Worthy. In fact, Stepien’s personnel moves were so preposterous that the NBA changed its rules to make it nearly impossible for a team to trade first-round draft picks in consecutive years. The Stepien Rule is his lasting contribution to the league’s history. Not only was Stepien’s record as an owner the equal of Sterling’s, but, as Cliven Bundy put it, Stepien also had a “thought” about race that he was more than happy to share. At one point, Stepien argued that the NBA should always make sure that 50 percent of its players were white, because white people preferred to watch white people play. To be fair to history, it was Stern, then the league’s general counsel, who finessed the deal through which Stepien sold the Cavaliers to the Gund brothers. But that was a long time ago, and why the league hasn’t been more forceful about prying the Clippers loose from Sterling is a question that new commissioner Adam Silver thus far has been unable or unwilling to answer. The NBA has a lot to answer for in the career of Donald Sterling. I like what the Clippers did Sunday. It was a statement. I just hope the league doesn’t fine them for violating the dress code. That, after all, is serious business.